Inaugural presentation at the Equine Tent starting 11:00am on Saturday with a special presentation. 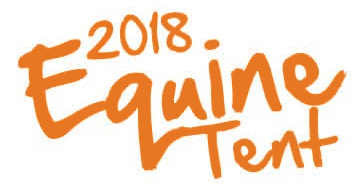 Monday afternoon on the Track (following the Dog Show) 12:30pm estimated start time Eglinton & Caledon Hunt Club: Horses and Hounds, Erin Heritage Horse Parade. Note: Early entries can bring their registration and waiver forms to Budson’s – Provisions for Country Living on main street Erin. WHERE: Parade is staged in front of the bleachers where the truck pulls take place. No trucks will be operating during the parade. Your safety is paramount! PRIZES: For largest, smallest, Best of Show. All breeds welcome – show off your ride! Educational Displays, Breed Exhibits, Clinics – all day, every day! 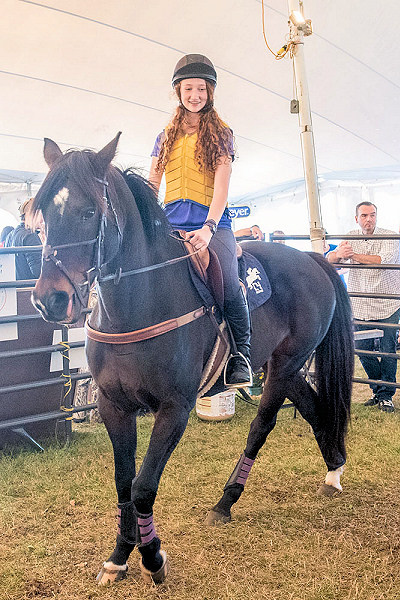 Meet, touch & talk to real horses in the Equine Tent! Take home a photo memory of you, your family and friends. Free prints 10am – 3pm all fair weekend! Kids Activities Free all Weekend! Horseless Jumps: try your luck on our kid-friendly course! Come see these breeds in the tent: Appaloosa, Bashkir Curly, Canadian Horse, Egyptian Arabian, Friesian, Gypsy Vanner, Quarter Horse, Heavy Horses, Icelandic, Mini Horses, Mustang, Percheron, Standardbred, Tennessee Walking Horse, Thoroughbred, Paint, Paso Fino, Pinto, Rocky Mountain, Welsh Pony and Warmbloods. Throughout the fair weekend: Barefoot Trimming, Caledon Pony Club, Dressage, Endurance Riding, Equine Facilitated Learning, Equine Massage, Side Farrier: Hot Horse Shoeing (Paul Fischbach), Equine Wellness & Health, Horse Behaviour and Safety, Horse Connection, Horse Liberty Work, Longrun Thoroughbred Adoption, Miniature Horses, Ontario Side Saddle, Standardbred Racing, Western Reining, Western Horsemanship and more! For all equine tent events and activities see full schedule below. For all other equine events check the main fair schedule here. Meet the Minis-small but mighty!